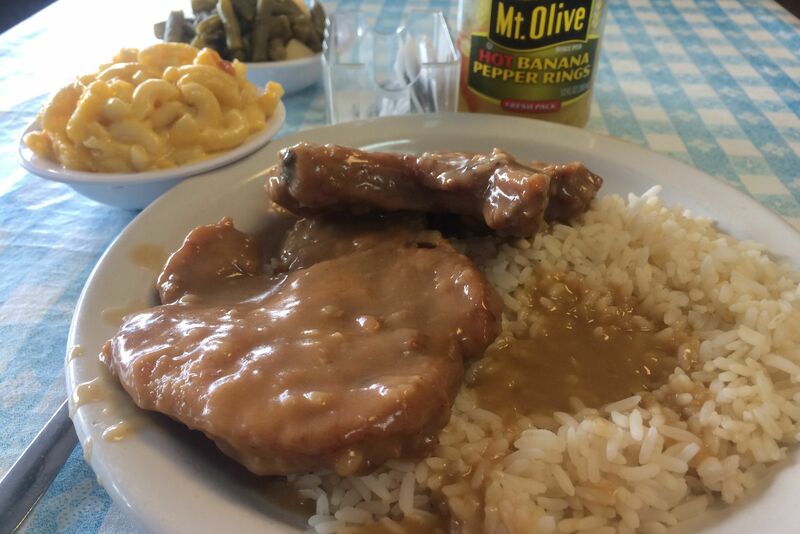 The salty smothered pork chops pack a slap of heat courtesy of a dash of cayenne pepper. 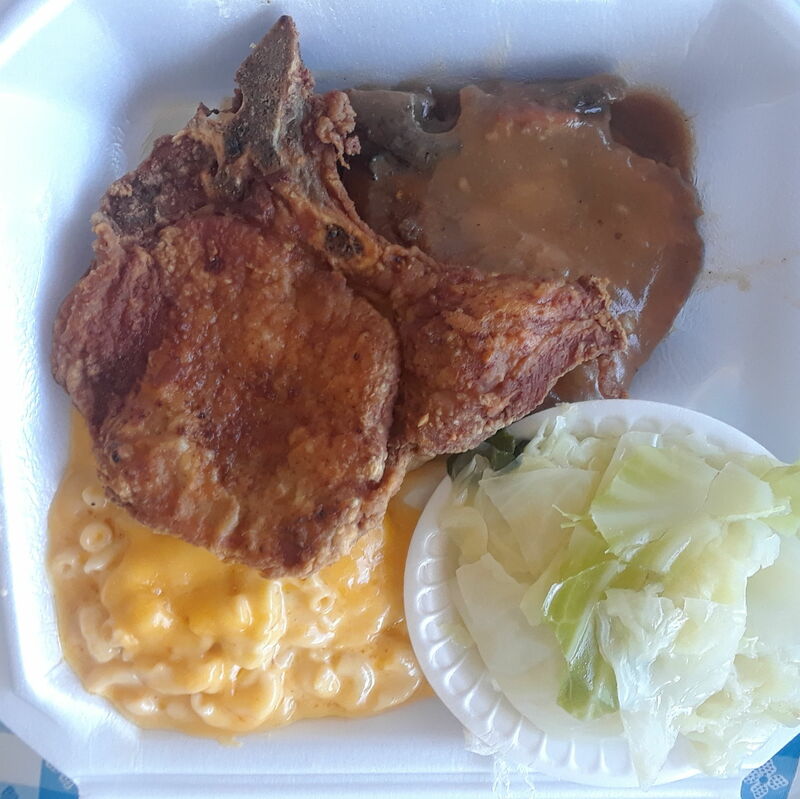 Perhaps that’s evidence of the slogan posted on the menu board, “taking you all the way back to grandma’s house.” Grandma wouldn’t be pleased with the canned green beans, but she would approve of heading next door to Hank’s Ice Cream for a post-lunch scoop. 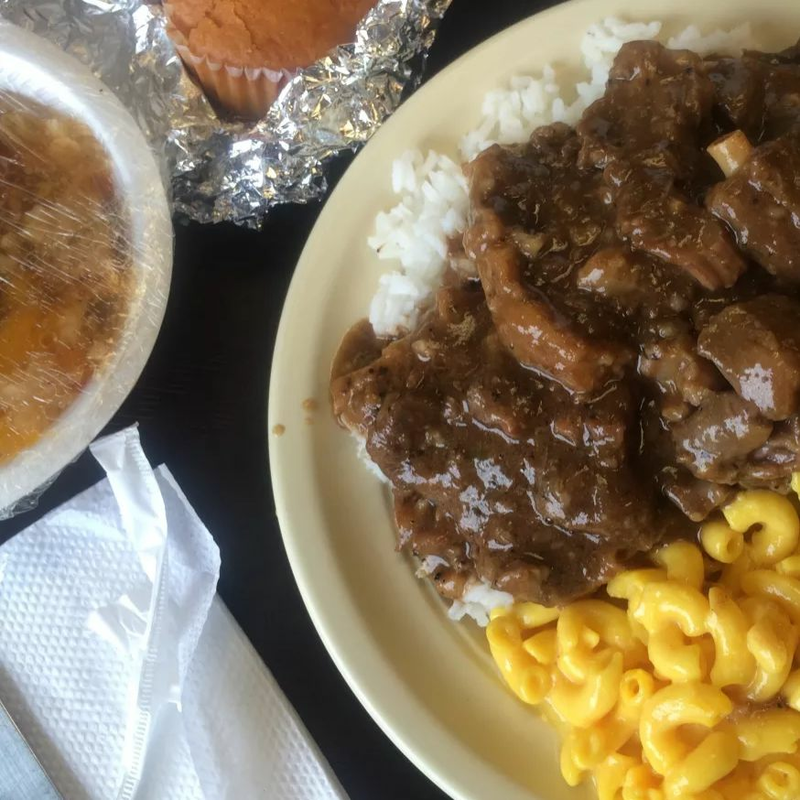 When eating your feelings means going hard on pork, Mama's Oven is there for you.